What Kind of Outdoor Television Should You Buy? Value - The value of an outdoor TV should not solely be based on price. We also take into account the type of television, size, resolution, picture quality (i.e. 2160p is better than 1080p), weatherproofing method, exposure and other features. Placement - Where an outdoor television can be placed is another factor we consider. While all outdoor TVs are made to be used outside and can handle humidity, salt-air and extreme temperatures, some are made for full exposure and can handle the elements, while others are made to be under-cover only and shouldn’t get rained on. Full exposure TVs tend to be more expensive, however, you have more options for where you can put them. 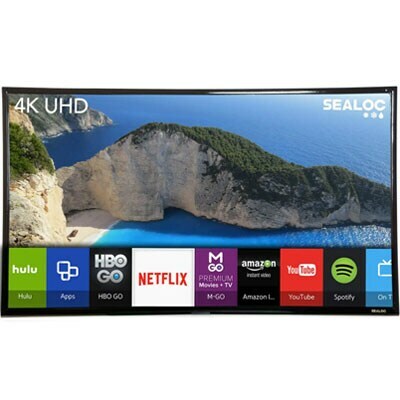 Features - There are many features to consider when looking for an outdoor television: resolution, TV brand, brightness (some are only made for the shade), included accessories, if a soundbar is required, if it is a Smart TV and more. We take into account all features of an outdoor TV when determining its value. To learn more, head on over to our Outdoor TV Buying Guide. 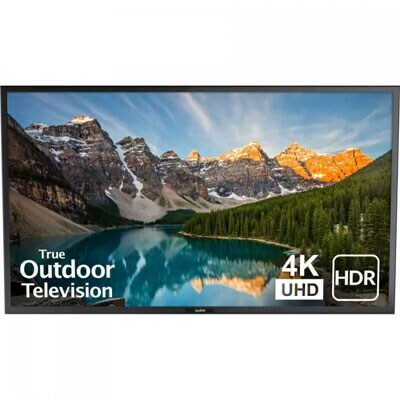 Four times the detail of 1080p, televisions with 2160p 4K Ultra HD resolution are the best outdoor TVs on the market. The images are sharper and lines are smoother. They may cost more than lower resolution televisions, but the exquisite picture makes the extra cost worth it. 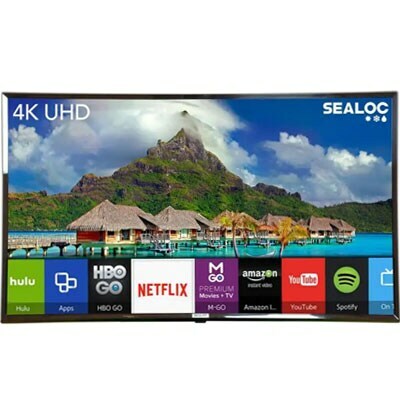 Some of these TVs are also HDR (or high dynamic range) which takes it a step further – they have a larger color range so you can enjoy vivid colors, higher contrast and brighter images. Enjoy your favorite show or the big game with an outdoor 4K Ultra HD TV.